Just sixteen percent of female students, black girls make up more than one-third of all girls with a school-related arrest. 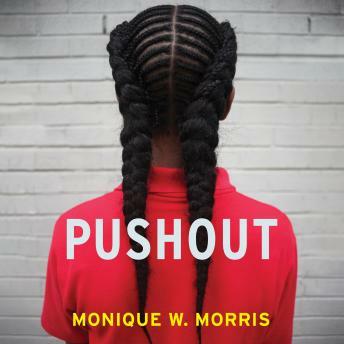 The first trade book to tell these untold stories, Pushout exposes a world of confined potential and supports the growing movement to address the policies, practices, and cultural illiteracy that push countless students out of school and into unhealthy, unstable, and often unsafe futures. For four years Monique W. Morris chronicled the experiences of black girls across the country whose intricate lives are misunderstood, highly judged-by teachers, administrators, and the justice system-and degraded by the very institutions charged with helping them flourish. Morris shows how, despite obstacles, black girls still find ways to breathe remarkable dignity into their lives in classrooms, juvenile facilities, and beyond.